If you are currently facing professional difficulties due to a recent Los Angeles DUI arrest, you likely relate to the woes of Indianapolis Colts owner Jim Irsay (if not on a significantly smaller scale). 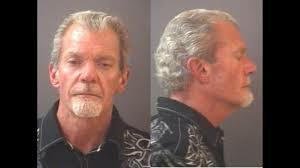 Irsay’s March arrest, which stemmed from the presence of Oxycodone and Hydrocodone in his system while driving, resulted in a DUI conviction on September 2. He received a 60-day jail sentence, although 58 days were suspended and he received “time served” for the other two. He was also ordered to pay court fees and was issued a 90-day license suspension. Shortly after Irsay’s sentencing, the NFL instituted its own penalties on the Colts owner, showing the organization takes such behavior of its leaders seriously. Fines. Commissioner Goodell imposed a $500,000 fine on Irsay, the highest allowed in the NFL. Exclusion from games. At the heart of an NFL or other sports-related suspension is the removal of privileges to attend one or more games. In this case, Irsay must sit out six games and miss the beginning of the season. Damage to reputation. After a DUI-related suspension, it takes time to reestablish one’s esteem among players, fans, and peers. The entire franchise receives negative attention, detracting from the efforts of the athletes. Whether you got arrested for DUI for alcohol, illicit drugs, or prescription drugs, you may face a serious offense that could result in considerable legal and professional consequences. Understanding your rights and responsibilities under the law can help you achieve a desirable outcome and regain your freedom. To enlist the assistance of a highly-qualified Los Angeles DUI attorney in your defense, contact the Kraut Law Group today.